Can Florida save its famous Everglades? Can Florida save its prized Everglades from climate change destruction? Half of all Floridians will live underwater by the end of the century, according to the National Oceanic and Atmospheric Administration’s predictions. In her disheartening article in The Guardian, researcher and author of Rising, Elizabeth Grant instructs Floridians to flip a coin – tails and your home is headed under the sea. Overpopulation, unsustainable development and sea level rise also threaten to destroy Florida’s famous Everglades, but the newly elected Republican Governor, Ron DeSantis, is an unexpected champion of its restoration. Changes to the landscape, including draining, paving and building, as well as carving out agricultural lands, have damaged the wetland’s sensitive ecology. The amount of water flowing into the wetland had already been cut in half by the 1960’s and is currently a third of what it used to be. Fresh water from Lake Okeechobee, its main source, has largely been rerouted to irrigate farms and re-enter the wetlands full of agricultural chemicals. These changes in water circulation not only introduce synthetic nutrients that kill wildlife and produce toxic algae blooms, but an overall decrease in water, exacerbated by drought and sea level rise, also changes the water salinity. In 2015, a decline in rainfall caused the water to be twice as salty as the ocean, leading to rapid die-off of its expansive sea grass, which caused a domino-effect die-off of the hundreds of species that live and breed in sea grass beds. “The water used to be so clear you could see the seagrass move back and forth. Now you can’t see the bottom. The dead water sort of moves around the bay and you think ‘I’ve just gotta get out of here,’” a seasoned fisherman lamented to Milman. Related: Can the Cayman Islands save the Caribbean’s remaining coral reefs? 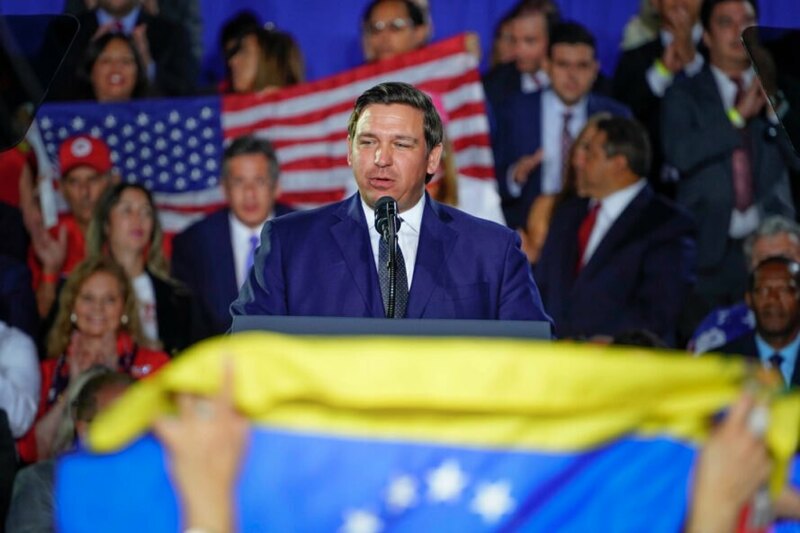 In January 2019, Florida elected a new governor: Ron DeSantis, a self-proclaimed “conservative warrior” and Trump bestie. In just two months in office, DeSantis released a progressive $250-billion plan to restore the Everglades and invest in water quality remediation infrastructure. Though DeSantis’s predecessor, Rick Scott, set the bar pretty low in terms of green policy (he reportedly banned the phrase “climate change”), environmentalists are generally hopeful about DeSantis’s commitment. 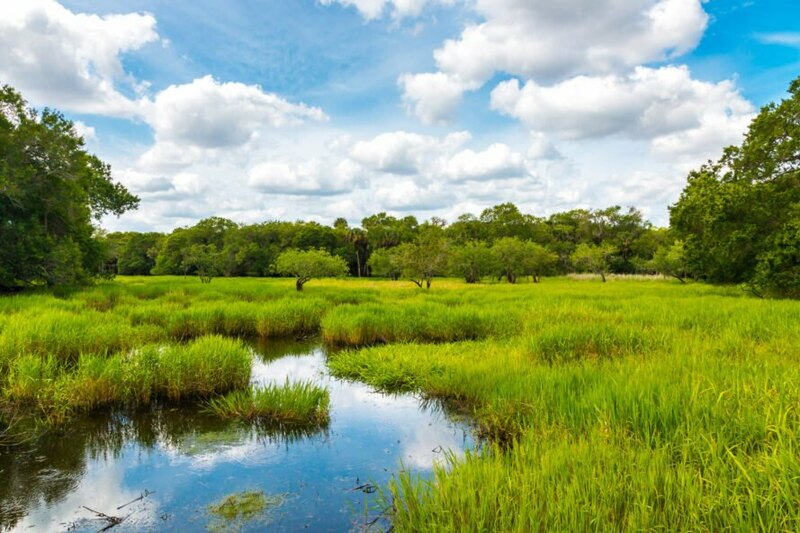 The four-year plan, “Achieving More Now for Florida’s Environment,” designates $625 million per year to address water pollution, restore ecosystems and raise the Tamiami Trail, a highway that traverses the Everglades and cuts off water circulation. Many Democrats, however, believe the proposed budget is still too modest and needs to be reassessed. In 2000, a similar “Comprehensive Everglades Restoration Plan” passed Congress with ambitions to redirect freshwater and reduce sea water incursion. In the nearly 20 years since the bill passed, the crisis of sea level rise had become far more serious. The Guardian reports that the sea level is now three inches above the 1993 average and future levels are a “moving target.” A more comprehensive restoration plan, conservationists argue, would need to consider the worst-case predictions. Still, the new plan provides one billion dollars more than the budget from previous years, which is a welcomed, albeit insufficient, increase in much needed investment. We must protect the Everglades no matter what because it is home to many beautiful wildlife who depend on this wetland for food, water and shelter. There will be no oil drilling or any other cruel activity allowed in this wetland because whoever accepted oil drilling in this area should be ashamed of themselves and I demand that we all protect this land no matter what and never ever destroy it, or you are all going to be in a huge heap of trouble and will suffer the consequences, so nobody and I mean nobody start anything dangerous in this area at all. Keep protections here all times. Half of all Floridians will live underwater by the end of the century, according to the National Oceanic and Atmospheric Administration. 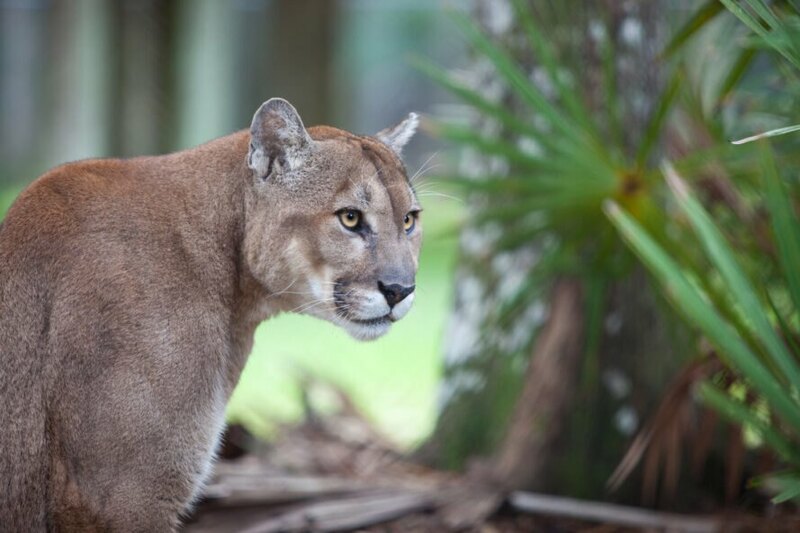 The Florida everglades is home to the Florida panther, who is at risk of habitat loss. Water flowing into the wetland is currently a third of what it used to be. Florida's new Governor Ron DeSantis released a progressive $250-billion plan to restore the Everglades.